Chris Mayer picks up where Marco Polo left off ... and guides readers on the investing tour of a lifetime! "This is the best adventure investing book since Jim Rogers′ Adventure Capitalist." Brad Farquhar, President, Nomad Capital Corp., Partner, Assiniboia Capital Corp.
"There are only a handful of investment writers whom I follow. Chris Mayer is one of them. . . ."
"Simply the best book I′ve read on global investing. Chris not only explains dozens of huge growth trends taking place all over the world, but teaches the individual investor how to make money off of them." 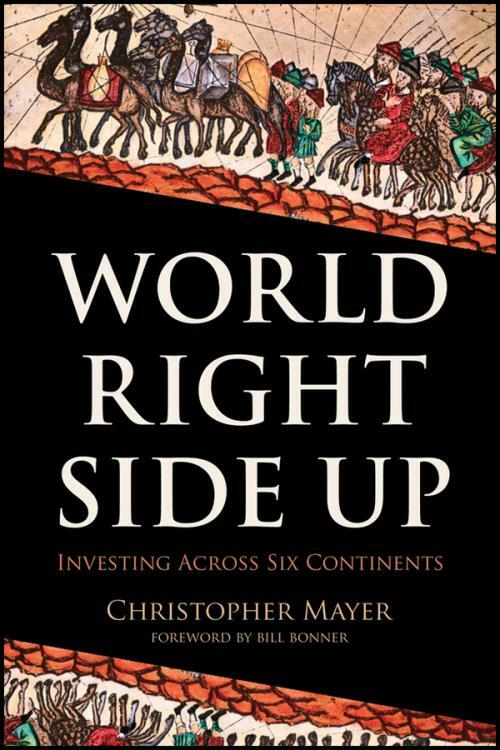 "World Right Side Up takes us on a journey to far corners of the Earth to witness the promise of prosperity in a new world where countries are using capitalism to create their ′American Dream.′"
Frank E. Holmes, CEO and CIO, U.S. Global Investors, Inc.
"I have encountered Chris Mayer in far–flung locations from Colombia to Cambodia, mixing enthusiastic curiosity with analytical acumen to unearth exceptional opportunities for his readers." "Chris Mayer is really smart and a great investor. World Right Side Up presents many specific investment ideas. . . . The global narrative and historical snippets provide valuable insights into these diverse locales . . . where there′s lots of money to be made."